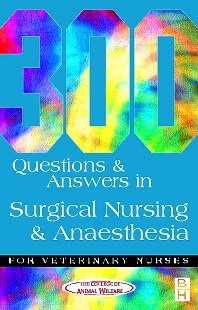 The titles in this series provide the student with a collection of new questions and answers in individual subject areas so that the student can concentrate on specific areas of weakness This new Series of Multiple Choice Questions provides the veterinary nurse student with additional opportunities for both self-assessment and examination practice. The selected subject areas have been grouped according to the requirements of S/NVQ levels 2 and 3 veterinary nursing examinations, enabling the student to purchase only those books relevant to their year of study. Compiled by a leading training centre, these questions are representative of the type of question likely to appear in the examination paper. By using these revision guides you will not only increase your understanding of the subject but also increase your chances of achieving success in the examination.